More than ever, what happens in cities is shaping our World. Over the last few decades, important challenges climbed the social and political agenda, demanding common actions, strategies and developments plans. To deal with these challenges – among them climate change, pollution, urban innovation – big utilities, business companies, academic and research communities gathered together for three-days fair at Smart City Expo World Congress, in Barcelona. The event is an exceptional networking platform to promote debate and create synergies on the issues that matter and the solutions that we need to adopt. The fair has addressed all ideas that revolve around the concept of transforming our cities in smarter, healthier, efficient and more eco-friendly spaces. Driven by its mission of a greener future, BaxEnergy and its IoT Division WiSNAM joined the exhibition, presenting the new line of IoT solutions, advanced sensors and technologies for smart buildings, integrated energy and smart manufacturing. 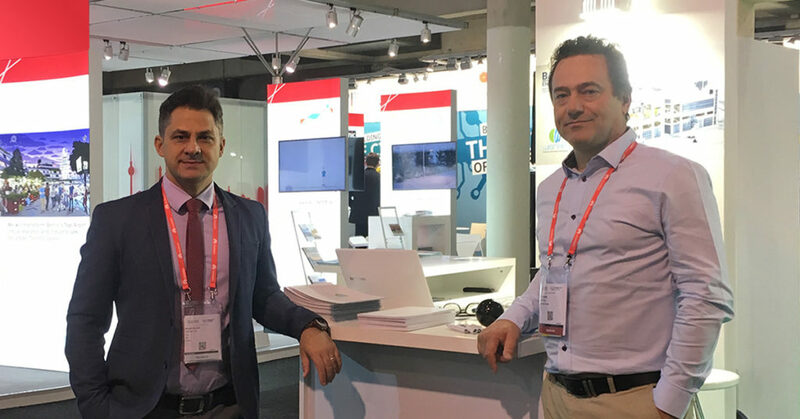 BaxEnergy Commercial Director Portugal, Mr. Rui Carneiro, who has attended the fair, has shared with us his impressions and thoughts about the event, the new emerging industry’s trends and future actions to better seize the digital transformation’s opportunities. – How was your experience attending the fair? Events like this represent a great opportunity to have a glimpse of the future with the latest ideas and solutions aimed to improve our environment and our life as citizens and city users. Additionally, we had the opportunity to interact and network with a wide range of companies and institutions that are actively pursuing and developing the ideas that will shape the future of our lives, as citizens and as professionals. Utilities are already boarding in this area in order to better understand how they can integrate these concepts in their services portfolio and become themselves providers of solutions to evolve our cities to “smart” cities. – What about BaxEnergy’s participation to the tradeshow? Our participation allowed us to network and interact with several companies and entities that, even not being preferential target customers, allowed us to understand the spaces left open in this new business and in which we might be able to position ourselves. Thus, from one hand, this was an interesting opportunity for presenting our new line of IoT sensors solutions to power assets, buildings and cities’ digital transformation. On the other hand, this was the suitable location to understand what other market players are doing and where different ideas and products could coexist together, allowing interesting interactions with some companies and attendees. – Which new emerging industry trends did you notice at the Fair? This is a growing business opportunity for IT and hardware giants like Microsoft, Cisco and Huawei are racing to be the leaders in this digital transformation. Also utilities have acquired companies in this area and are now also aiming to become service providers for cities with their platforms in which they might have also the advantage of being an energy supplier and, in this way, they are in a privileged position for energy efficiency for example. Another interesting trend is that municipalities are developing smart city platforms by themselves and they are participating now in these tradeshows with their solutions, some already tested, some only ideas; the interesting trend here is that this part of the future seems open to everyone to bring their ideas. – How do you think BaxEnergy should evolve in order to be more prepared to seize new trends? With the know-how and experience BaxEnergy has developed in the last seven years in data acquisition/analysis in the energy industry and thanks to the technology developed by WiSNAM IoT Division, we can for sure evolve our energy monitoring solution to a platform that is able to compete with the best and also taking advantage of our innovative spirit and partnerships with utilities and IPPs. I am quite sure that we could bridge to this new industry and actively participate in the design of our future “smart” cities as well. This is for sure a business area with a very strong and growing potential, as we could see in this tradeshow. It was clear by the “heavy” presence from the big IT players, present here in force assuming their leadership, that this will be a great business opportunity for the future. On the other hand, it is interesting to see that there is still a certain democratization in this area that allows anyone with an idea to implement it and to “offer” it to the world. From municipalities to students, passing by small companies, there is a wide group of individuals that are finding a way among giants and are able to transform their ideas into a new business and for now there seems to be place for everyone. I look forward to see BaxEnergy as an innovative player in this new revolution as it was seven years ago in the development of energy monitoring solutions. I believe that, we will be able to create best-in-class solutions that will transform today’s problematic cities into great living places.